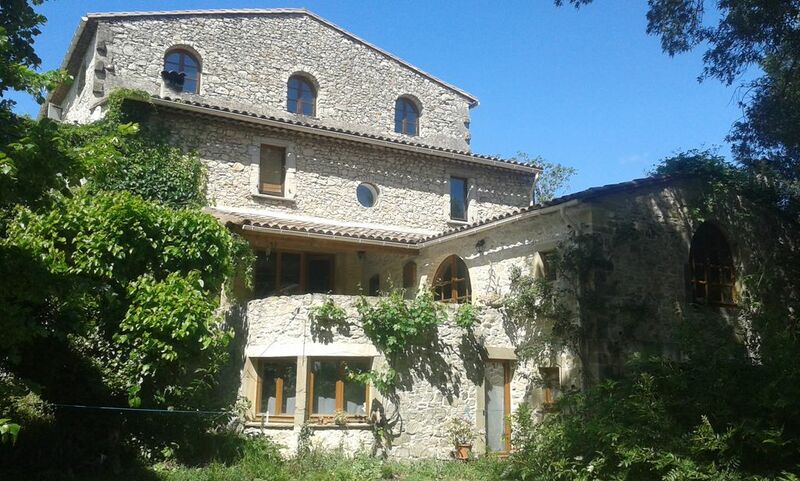 Character house on the edge of the hamlet of Mazes; 350 m² on several levels, you'll get from the wide covered terrace a magnificent view of the village of Sérignac perched on the hill; this space is overlooking the garden and private infinity pool (11.50 x 5.50). Enjoy the sun or the refreshing shade of large trees listening to the cicadas sing, lying on the deck chairs. Petanque terrain (garden shed, refrigerator, tables and chairs, lighting), table tennis, large meadow where children and adults can play football, volleyball, badminton. The property (garden, recreation area, parking (6/7 cars) is fenced. From the terrace is accessed from a studio (double bed, shower, toilet, small kitchen), ideal for a couple with a baby (cot, high chair) and also at home ; the ground floor kitchen, dining room, vaulted living room beautiful pieces that keep a pleasant freshness and open onto a shaded courtyard, where you can isolate themselves. Laundry and toilet flush. The staircase gives access to a beautiful vaulted room with exposed stone; the first floor, the spacious bathroom with shower and toilet faces the second bedroom open onto a small terrace covered by a pergola. Some large room above steps (fireplace, piano) opens the third bedroom and small bathroom with toilet. The staircase continues on the mezzanine floor where there are two double beds located on either side of this bright location with magnificent views east to west (Hills Sérignac peak St Loup).